Heritage Garden and Amphitheater is located at the southeast corner of Woodlawn Park in Moorhead, Minnesota, installed in 2015 by the Plains Art Museum and the City of Moorhead. Women of Clay is the first theatrical production to be held at the venue. Drawing influence from the historic Moorhead power plant and the Red River, this project aims to join the past with the present and future and to provide a space for the community to gather and celebrate its legacy. The design includes a rolling series of berms, a collection of beautiful benches, various gardens, a water feature, a warming house, and an earthen amphitheater. A key element of this design is the perennial garden featuring plants and stories collected from the people of Moorhead. 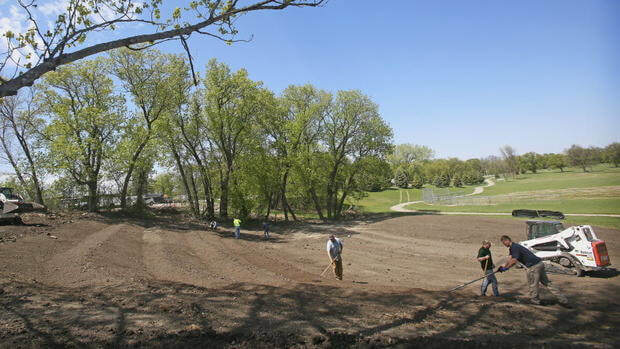 The Heritage Garden and Amphitheater is a collaborative project between artists Rob Fisher, Kevin Johnson, and Su Legatt, The Plains Art Museum, Moorhead Public Service, the City of Moorhead. It is funded by grants from the National Endowment for the Arts, ArtPlace, Bush Foundation, and the Lake Region Arts Council." 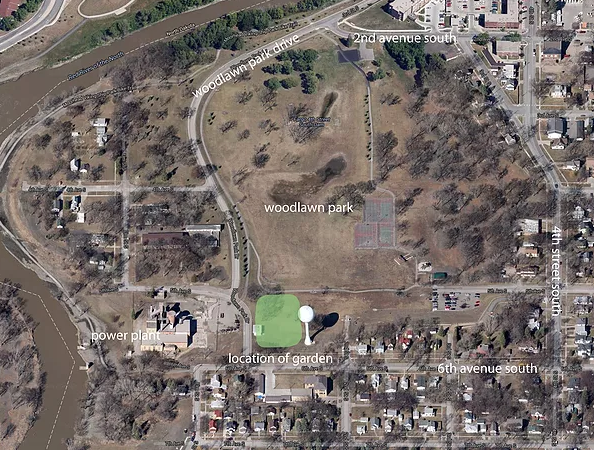 Designed by artists Su Legatt, Rob Fischer and Kevin Johnson the Heritage Garden & Amphitheater is located near the site of the decommissioned power plant along the Red River and adjacent to Woodlawn Park. The power plant provided power to Moorhead from 1896 until 2014, and was a central element to the Woodlawn Park neighborhood. The artists’ plan has created an environment that serves as an homage to the power plant, the history of the neighborhood and its residents. Elements from the power plant are incorporated into landforms and garden beds, and serve as found sculptures. Residents from the neighborhood have contributed plants and their personal stories."